WHAT IS A “BUSINESS ASSET”? WHY ARE BUSINESS ASSETS IMPORTANT? The 24Assets® Heatmap benchmarks your business against 24 categories of assets and identifies opportunities for growth, funding, acquisition and exit. Answer 54 Questions and get your heatmap. This is a FREE Diagnostic Tool and takes less than 10 Minutes*. 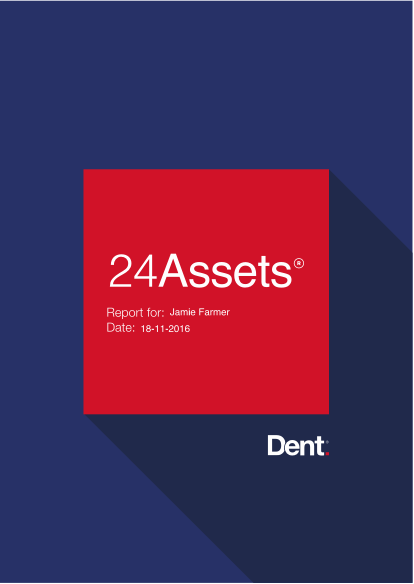 The 24Assets® Heatmap and 20-page report have been developed over the last 5 years working with VC’s, acquisition specialists, M&A teams and researching hundreds of fast growth businesses throughout the UK, USA, Singapore and Australia. 24Assets® is a system for building a valuable business that other people want to buy from, work for and invest in. This software system project manages your business growth. A simple definition of a business asset is "anything that would still be valuable if you and your team disappeared". If you’ve got a great website that would still be driving business tomorrow if you disappeared today, then it’s a business asset. If you’ve created a product that your business sells and it would continue to sell for the same price even if you disappeared, then it’s an asset too. If you have a brand, a database or a system that is valuable to your business even when you’re not around, it’s an asset. If however, you need to be there to explain it or do something with it, then it’s not an asset. So the stuff in your head has potential to be an asset, but it isn’t yet. The customers who only want to deal with you directly aren’t an asset. The half-finished training manuals that are on your hard drive aren’t assets yet either. In every industry, there are companies that take off. They effortlessly hire talented people, attract loyal customers, create cool products and make lots of money. These companies seem to stand out and scale up quickly with support from investors, partners and the media. Sadly, most companies don’t perform this way. Most entrepreneurs aren’t building anything of value. They work hard, make sacrifices, struggle, dream, plan and strive, but in the end, it doesn’t pay off. This book sets out a method for building a business that becomes a valuable asset. It focuses you on transforming your organisation into something scalable, digital, fun and capable of making an impact. It’s time to, stand out, scale up and build a business that has a life of its own. Start now by reading this book. 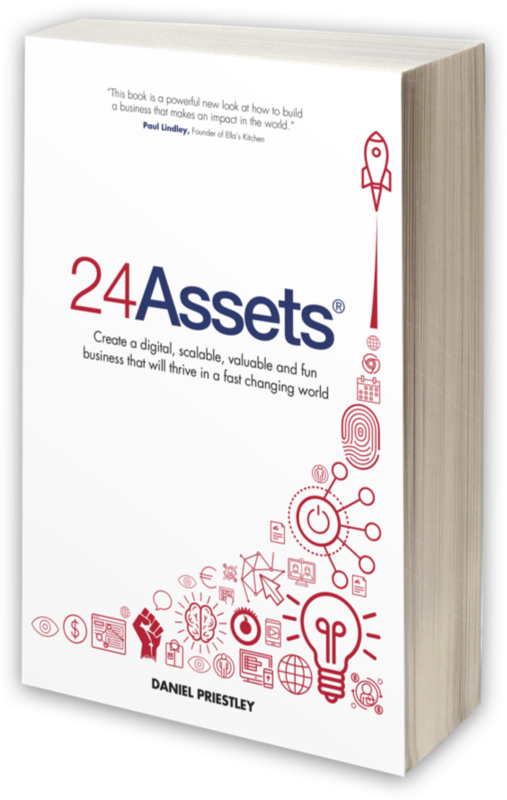 "24Assets® offers a fresh look at how to advance your business in the digital age. If you want a business that scales and achieves value, you’ll need to develop the business assets prescribed in this book"
Revenue, Profit and Scale require an ecosystem of valuable digital assets. Put simply - “Income follows assets”. It's impossible to generate revenue without an underlying asset. If you want rent, you need a house. If you want dividends, you need shares. If you want royalties, you need a book. If you want to earn money from your business you need more business assets. Having assets makes money a lot easier, because the revenue your business makes is directly related to your business assets. Imagine that your business developed a best-selling book, an award winning website and had a world-class employee training program. All of these assets would improve the income your business makes. Most struggling businesses focus on "sweating assets". This means they focus on things like sales, marketing and operations. Great businesses focus on developing assets first and then sweating them. The 24Assets® Heatmap guides you to quickly identify the assets you need to develop, and generates a report to help you understand how you can build each asset. Growing your business into a valuable asset is a project that can now be done more strategically and effectively. Each asset makes your business more scalable, profitable and scalable. Dent is helping entrepreneurs and leaders to stand out and scale up. We have worked directly with 2500+ businesses to help them become more visible, valuable and scalable. Charitable Fundraising – We’ve raised over £350K for various charities through our events. We’ve launched three best-selling books on business, won major awards and raised more than £350,000 to charities around the globe. Dent Global are worldwide leaders in strategy and technology for entrepreneurial businesses. In the last six years we’ve built our global small business, with offices in the UK, USA, Singapore and Australia.